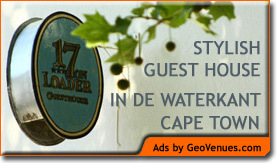 Accommodation in Plettenberg Bay: Treehaven Self-Catering. You are here: Home / Western Cape / Plettenberg Bay / Accommodation in Plettenberg Bay: Treehaven Self-Catering. TREEHAVEN is one of those special places sought out by the discerning traveler … a feeling you’re ‘in the middle of nowhere’ yet around the corner from everywhere. It is a place of peace to retreat to after a busy day at play. The Zen atmosphere of uncluttered living in TREEHAVEN’s tranquil setting frees mind, body and soul to relax and allow the environment to heal. Situated in the heart of Plettenberg Bay, only 3 minutes drive to the stores, amenities and beaches, TREEHAVEN is hidden in an indigenous greenbelt which insulates guests from the holiday hustle and bustle. Designed by Architect-owner Feo Sachs, the lay-out of the self catering units optimizes the densely wooded site. Unlike the usual Bush Lodge concept, the style at TREEHAVEN is unashamedly modern. It is this interface of open-plan light-filled spaces that contrast so beautifully with the richly forested environment and stolen views over the valley. Innovative design complements and enhances your nature experience. The three self catering units allow total independence while you explore the many and varied activities on the Garden Route. Accommodation is flexible with units accommodating 2 to 4 to 6 adults. The layout is ideal for family groups and reunions for up to 10 adults, with a sofa-bed available for the kids, yet each unit offers peaceful privacy with rooms opening on to shady patios where you can often catch a glimpse of the elusive Knysna Loerie (Tauraco corythaix) and scores of other bird species.